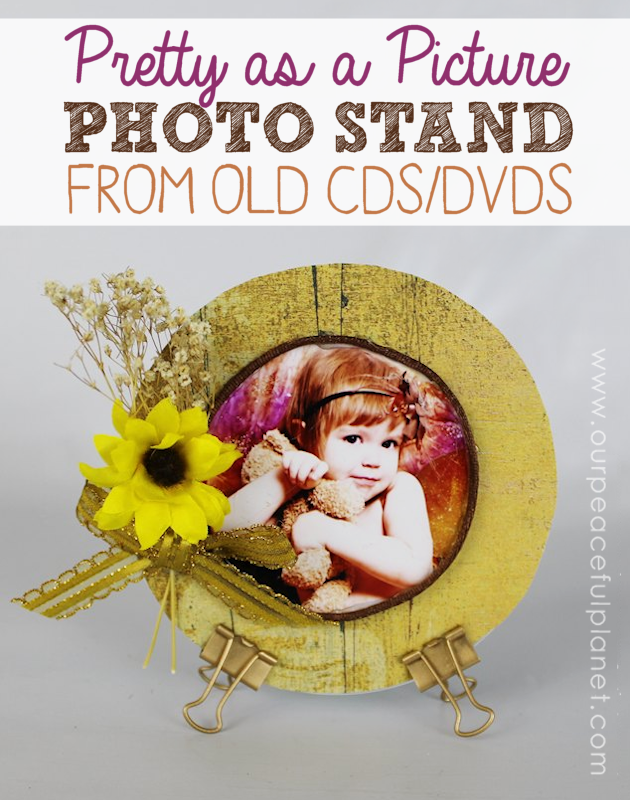 Make these pretty little photo stands using old CDs or DVDs and a couple of small binder clips! They’re very inexpensive and pretty and make wonderful gifts for just about any occasion. Give a set to grandparents. Give one to a friend. Give one to a special someone for Valentine’s day. They’re so easy kids can make them! And don’t forget to check out our CD crafts section for lots more ideas! I really like these going to do some with grandkids for moms & Dads for gifts thank you for sharing this awesome crafted. Great ideal love this I am going to be making a few of them. Thanks for sharing. So glad you enjoyed it. Thanks so much for stopping by! Very clever! Thanks so much for sharing on craft schooling Sunday! I love this photo craft! It’s so cute and what a great way to upcycle CDs and DVDs. Stopping by for the This is How We Roll hop.